The need for durable affordable housing is ever increasing. Steven Wolfowitz, a chemical engineer, invented this patented system to provide a partcularly easy relatively unskilled way to construct integrated reinforced concrete ringbeams without the need for carpenters. 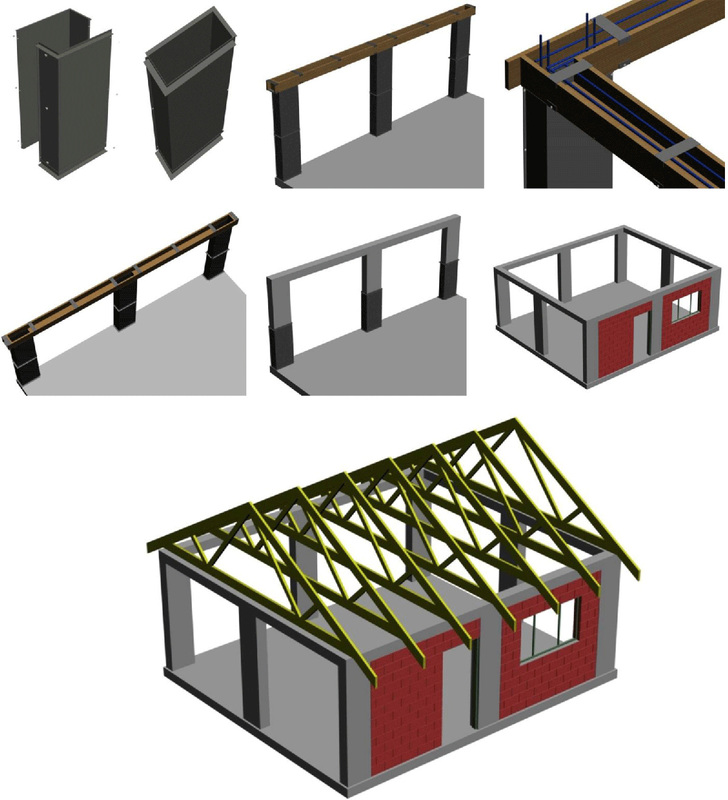 The building system uses interconnected conventional reinforced columns, ringbeams and slabs with standard walling, windows and doors, to civil engineering standards. Special patented column shutters with strengthening angle-iron flanges conveniently positioned are easily erected. Standard scaffold boards are located on the flanges to make connected ring-beam formwork. The columns and ring-beams are all filled with concrete at once producing a very strong integrated steel reinforced concrete structure. The shutters may be removed on the next day while propping the ring-beams and reused while the concrete cures to the required strength.